Presently, Kaohsiung has changed the impression of great industrial city. In the future, the cross-field application based on digital content will become the core that leads the industrial transformation in Kaohsiung. Economic Development Bureau in Kaohsiung City Government enthusiastically promotes the emerging industries, operates “DAKUO, Digital Art Kaohsiung United Office,” in order to support the digital content industries and communities, and establishes one-stop and all-channel services to provide the sources of innovation and entrepreneurship. DAKUO demonstrates Kaohsiung’s innovative and digital ICT teams. No matter in visual images, somatosensory technology, or intelligent applications, all teams show the energy of developing technological industries in Digital Kaohsiung City. Welcome more local and international technological teams to enjoy the LAHOS life in Kaohsiung. MultiPlayer VR game- The player who gets to the center first, wins the game. 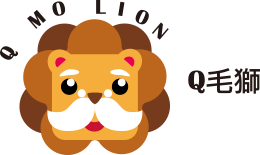 ntroduction of Q MO LION Our company actively develops IP products and promotes them worldwide. Our crucial technologies are digital lecture development, Virtual Reality, mobile application development. We furtherly combine the previous content of nursery education and general education, making it more diversified in order to increase the adding value of products and establish more services. Our company is developing games for mobile phone and all kinds of home video game console. Furthermore, we also publish our own games. Phone Doctor Plus App: Over 3 million users around the world iMT Solutions: Introduced into Apple Store recycling program in Taiwan and China. Sogigo: Platform for used phone appraisal, price comparison and transaction Complete solution wholely from the customers, retailer to the production line. Diandian Technology provides stores the cloud platform, quick and easy to establish customer loyalty management syetem, including the network and mobile devices. 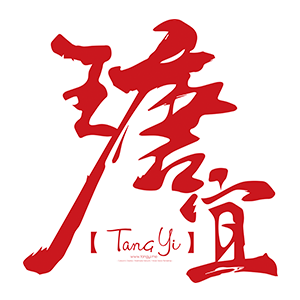 Original online series: Tangyi Studio is very skilled in visual effects, incorporating the elements of Sci-fi, Action, Superpower, Gourmet, Humor, Detective Drama and Music into our production, creating own new original online shows and short films. Commercial Product Placement: The way how we use product placement in our films provides the best opportunity for advertising to our clients. Our approach is effective and brings publicity to advertised products. Frontier Tech is one of the teams in Taiwan that focus on chinese syntax analysis and dialog system. We are also capable to work with our hardware partner to provide total solution for the IoT and smart home devices. For now, we already developed the smart projector, “roomie SP1”, and smart TV Box, “Rocktek X5."